Increasingly, advances in biomedical research are the result of combining and analyzing heterogeneous data types from different sources, spanning genomic, proteomic, imaging, and clinical data. Yet despite the proliferation of data-driven methods, tools to support the integration and management of large collections of data for purposes of data driven discovery are scarce, leaving scientists with ad hoc and inefficient processes. The scientific process could benefit significantly from lightweight methods for data integration that allow for exploratory, incrementally refined integration of heterogeneous data. 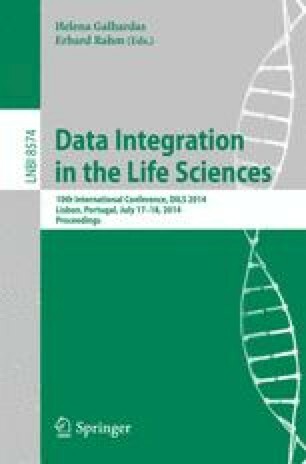 In this paper, we address this problem by introducing a new asset management based approach designed to support continuous integration of biomedical data. We describe the system and our experiences using it in the context of several scientific applications.